I’m not so wild about the morning after. Everyone is tired and cranky. Work and school go on as usual. And then, there’s the CANDY. What to do with that boatload of sugar? Some folks I know use the candy fairy, a bitty sprite who steals the whole stash in the middle of the night, leaving a nice little present behind. There are a couple of problems with that option. First, you have to remember to make that up when your kids are tiny tots, since it’s impossible to implement when they are half-way through childhood. Also, you have to remember to shop for presents, and it feels kind of gross to just throw it all away or leave it lying around at work. No. My approach has been to try and figure out WHAT CAN MY KIDS DO WITH ALL OF THIS SUGARY CRAP BESIDES EAT IT? But there are a lot of options beyond the tally. 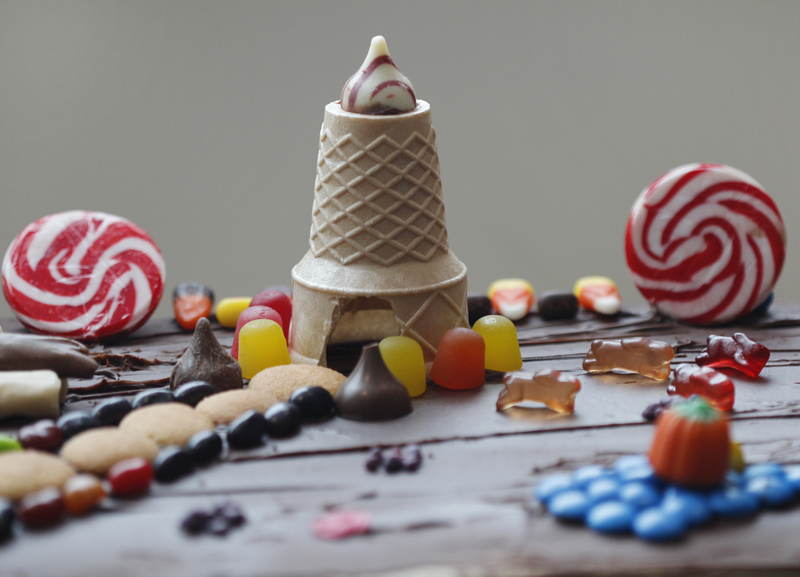 In fact, there are whole websites devoted to ideas for candy projects. Here’s one called Candy Experiments, and I’ve linked you to the chromatography (color separation) project. All you need is a bag of M&Ms and some coffee filter paper. Got smaller people? Predict which color of M&M is most common, then open a few fun-size bags and count. This is great to do with kids as young as 4 or 5, because you can make a bar graph using the actual candy. When I taught first grade, this was an easy, fun way to introduce the concept of graphing in a concrete way. 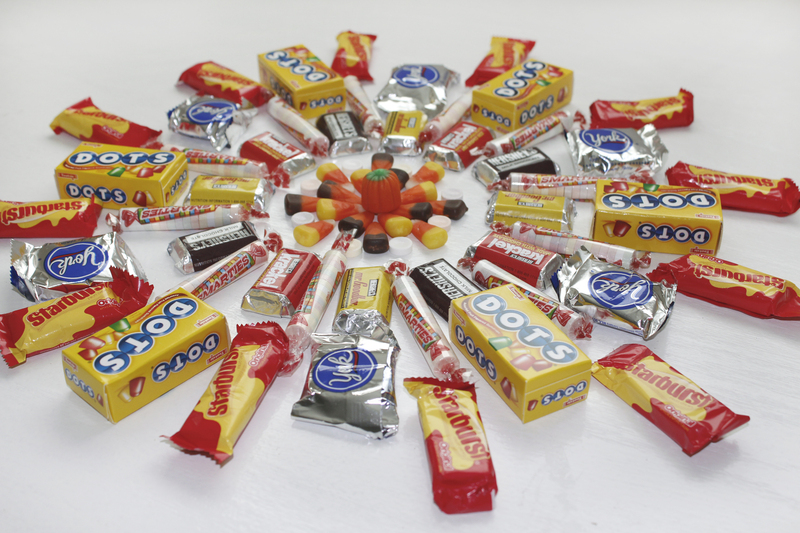 Here’s a link to a printable candy graph if you want to try it. Here is a project to figure the volume of M&Ms. It is definitely geared toward older kids–try it with middle schoolers and possibly beyond. BUT CHECK OUT THE MYRIAD OTHER PROJECTS, no matter what age child you have. There are so many great experiments of all sorts on the Science Buddies website. It’s well-organized and thoughtfully done– certainly the perfect place to start looking at Science Fair time. Or why not tie it to some game development, as well? Here are some good links for developing board games of any sort: How to Make Your Own Board Game and Board Game Design First Steps. There is something very satisfying about making order out of chaos, and my kids love to play with patterns. Why not use the candy to explore radial vs. bilateral (mirror) symmetry? Here’s a link to a well-illustrated Berkeley site which explains the two kinds of symmetry amongst arthropods. Lastly, I was recently inspired by a pile of last year’s Halloween candy, and a photograph of one of Louise Nevelson’s sculptures. My next plan is to unleash my kids on a pile of recycling and the stale candy. We’ll concoct something 3D and fabulous, and then spray it with one color of spray paint. I’ll post photos when we do. For now, here’s one by the artist herself. 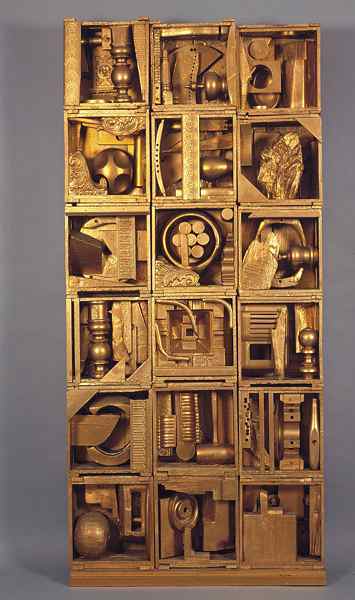 Royal Tide I, 1960 by Louise Nevelson. Wood, not candy. 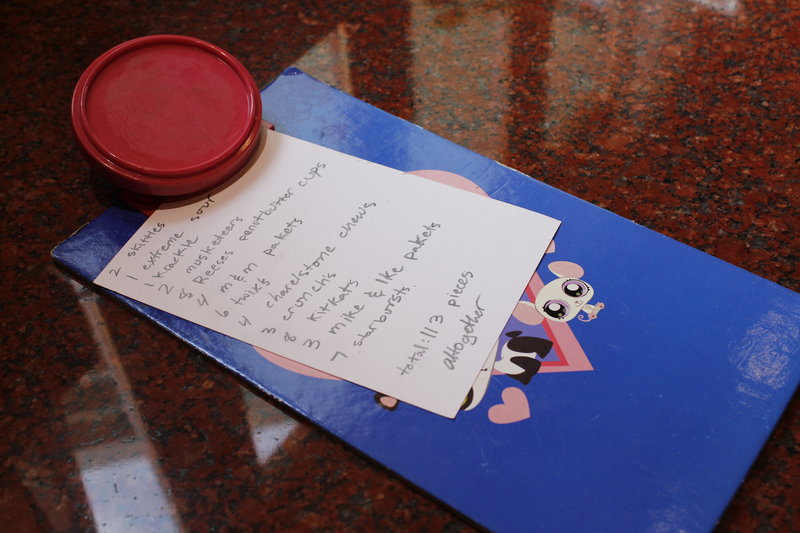 In the meantime, please feel free to add to our list of candy projects. P.S. If you live in the Bay Area, the Bay Area Science Festival culminates on Saturday, November 3 from 11-4 with an enormous science extravaganza at AT&T Park, including hundreds of interactive exhibits and experiments. It’s free to the public! Bravo. 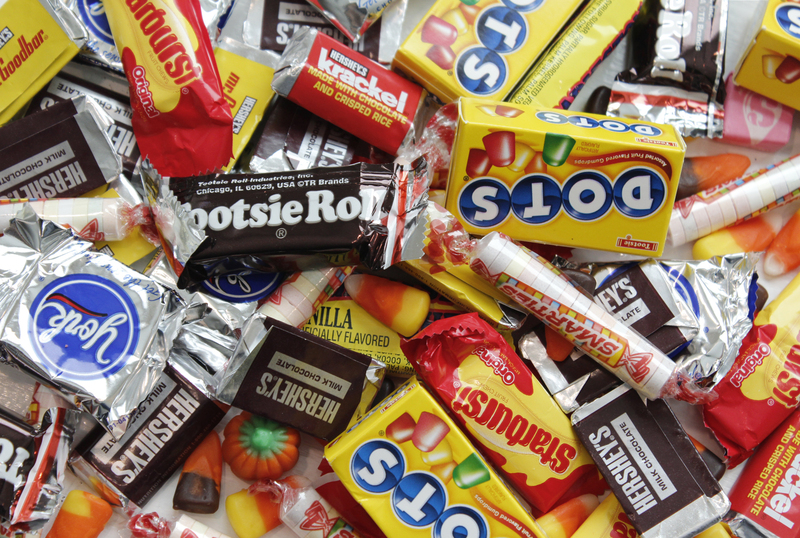 I enjoy brief daydream of what Louise might have done with Hallowe’en candy. Thanks! I imagine it would have been fabulous.